I’m changing the colors in my dinning room Christmas decorating this year. I know I’ve told you this before but I’m over the moon in love with All Things Teal! In years past, I decorated with brilliant red and I liked it a lot but I’m moving into tranquil hues of teal, adding a splash of icy accent and some pink for that room this Christmas. 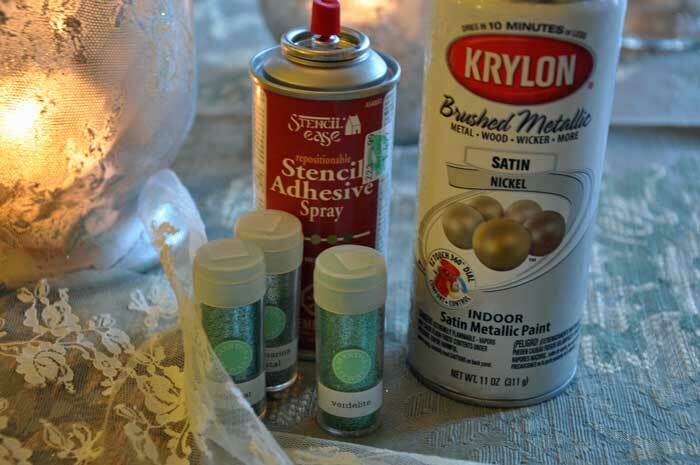 You need these things: *your glass, *stencil adhesive spray, *a piece of lace (really cheap if you buy just a little bitty bit! )*SPRAY PAINT! My all time favorite DIY tool, I used Satin Nickel, *And although you don’t need it, I picked up some Martha Stewart super fine glitter to sprinkle on the finished product! Spray paint the darn thing. Carefully lift the lace off and while it’s still wet with the paint, get your glitter on! Sprinkle till your tiny heart’s content! I did three and they will not look this boring on my Holiday table, I can promise you that…But they have an icy effect don’t they? Just what I was going for! 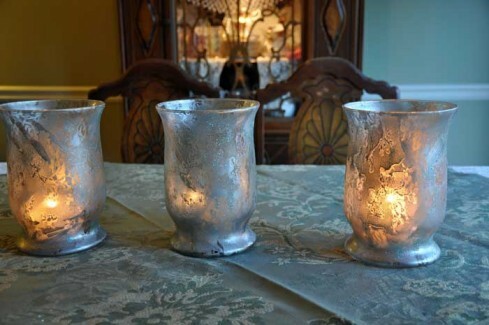 And while I was at it….I spray painted and glittered my 3 glass candle holders! If I have a can of spray paint … nothing is safe! Your technique with the lace, spray paint, and glitter is magical! Thanks for the chance to win the book! .-= Sherri S´s last blog ..Gifts for me and a gift for You! =-. Oh, I love your project and how pretty these hurricanes are! You’re a genius! Love the glitter you put on it too. .-= Shelia´s last blog ..True Love Ways =-. How beautiful! What a creative technique. Thanks for linking up! .-= Kimm at REINVENTED´s last blog ..Trash to Treasure–The Ralph Lauren Editon =-. Your project is wonderful and I like the sound of that book too! Perfect to set the tone for the season- and all seasons thereafter. .-= sherri´s last blog ..Time to Get Down and Dirty =-. .-= bill (cycleguy)´s last blog ..Change and Progress =-. 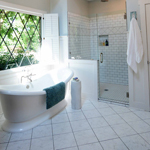 .-= Rhonda´s last blog ..The House Tour =-. .-= SusanD´s last blog ..My Hope =-. 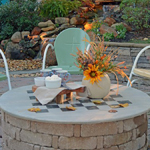 Love your handiwork – spray paint is the best!! .-= Marty´s last blog ..Metamorphosis Monday – Holiday Cloche Party =-. teal is a fabulous color to pair with RED for Christmas. i’ve also seen it paired with a very nice kraft or tan color for a great trio. happy spray paintin’! .-= jenn´s last blog ..Gobble, Gobble… =-. .-= Vicky´s last blog ..How do you? =-. 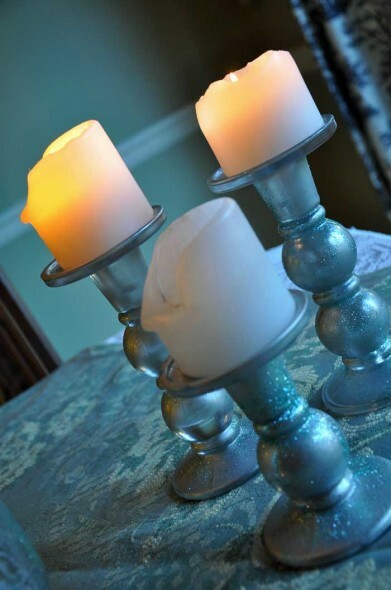 Your candleholders look great…thanks for the inspiration! .-= Nan´s last blog .. =-. I am always amazed at the creativity of everyone. These candle holders are brilliant. Throw my name in the hat for your giveaway. Oh I love this. I can’t wait to see all the Teal decorations! I loved this and thanks for sharing the tutorial. Isn’t spary paint great? I might have to try this one. .-= Sherry´s last blog ..2nd Time Tuesday .50 garage sale find . . . =-. I love every thing by Richard Paul Evans would love to win this!! Your projects turned out beautifully!! WOW!!! I love the vases/votives!!! I will have to check out my Goodwill store and find me some vases to try this out on!! So beautiful and classy! .-= Mama Holli´s last blog ..Mama "Holliday" Wreath! =-. I love your candle holders. You have inspired me to purchase a can of spray paint – Heaven help us. My little one is going to be thrilled to help with the glittering. 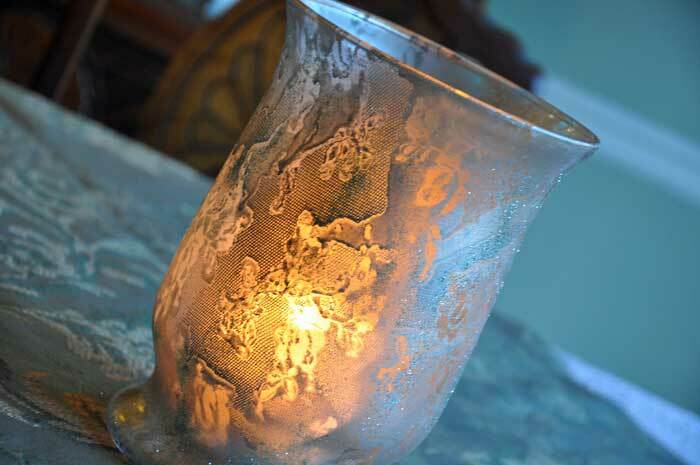 Love the lace effect and I think it will give your dining room the exact feel you want. I too am doing my dining room different this year. I decided with all the rest of the holiday being busy, stressful, and kid oriented I wanted the dining room soothing. So, white it will be with natural browns added in..can’t wait till after thanksgiving to get it going. .-= Tammy Hebert´s last blog ..Jon’s desk =-. I’m amazed at your craftiness! It all looks beautiful and so festive! .-= Vanessa´s last blog ..To List Make or Not? =-. I like your style! I know they will look fantastic on your dining room table! I can see right now all the potential those hurricanes have. .-= wanda´s last blog ..HAPPY BIRTHDAY!! GATES!!! =-. .-= Deborah´s last blog ..Encouragement…Boy Do We Need Some Right Now =-. These are stunning!! I would never have thought that you could get that much of the lace detail showing with the spray paint. I love that you did a grouping of three of these too. Super chic project! .-= Karen – The Graphics Fairy´s last blog ..Free Thanksgiving Turkey Countdown Button =-. .-= Kathy´s last blog ..Handmade Holidays =-. My word! They are transformed and gorge! .-= Celesta´s last blog ..Rainy days and Tuesdays…. =-. Hello Robin, I love your idea of a different color for Christmas. Your hurricane lamps look so gorgeous. You are on your way. I will love the pink accent. I decorated a small pink tree last year and loved it. Have fun and share your makeover. .-= jeanne´s last blog ..2ND TIME AROUND TUESDAY – ANTIQUES TO SHARE =-. Those turned out great…may have to make some myself. .-= Diane´s last blog ..2nd Time Around: My booth at the antique mall =-. These are absolutely stunning!!! I have everything I need to make them. .-= Rhonda´s last blog ..Sponge Bob Square Pants!!!! =-. 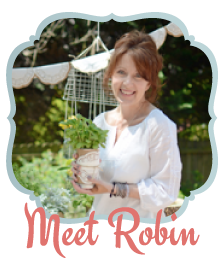 Robin…I’ve been going to the library for the past month and checking out all the new Christmas craft books and CDs I can find. Love it! We are hoping to move to our house by the end of the month so we won’t be doing any decorating before then…and I’m usually all done the weekend after Thanksgiving. I am trying to practice patience…I want patience to be more of a part of my legacy…but it’s hard to do this time of year when everything is so busy busy. Thanks for the chance to win this book…I like the TV movie of “The Christmas Box” — what a beautiful house that lady had! .-= Aubien´s last blog ..Out of Africa … =-. I like the idea of going to the thrift store to search out some candle sticks or vases …. I ‘m not sure I can actually spray paint that well….. The hurricanes are lovely! 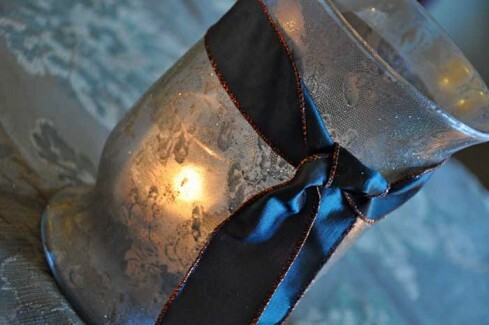 I love that silvery look with the rich looking ribbon! Great job! Love the book you are giving away..might be just what I need to get my spirit back to where it needs to be..hope I win! .-= Barb Boyack´s last blog ..MERRY PINK SATURDAY =-. Very pretty! Thanks for sharing. I’m having a giveaway so stop by if you get a chance. 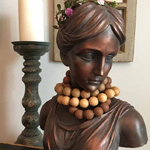 .-= Leanne´s last blog ..More Necklaces =-. Who knew that writing an offer on a house in June would mess with plans to decorate for the holidays?!? But we’re set to close on a new house in mid-December and I suspect that the packing/unpacking and nonsense of doing it all around my three little ones will destroy and hopes of decorating here…would love to live vicariously through your dining room project though because these hurricanes are awesome! Great decorating idea. I love the icy effect – it works for Christmas and through the winter. The book sounds like a good one to refocus on living purposefully. I enjoy lessons on leaving a legacy to our children and grandchildren. Hmmm pondering if I am brave enough to try my hand at the glass globes. I just might be brave enough to try it…I’ll let you know. .-= Erika Chapman´s last blog ..Living it out =-. Robin that is just lovely for the table . .-= Michelle´s last blog ..Wordless Wednesday | Taking Care Of Her Sister =-. I’ve got a real early start on the holidays this year. Makes me so happy to be playing Christmas music already. 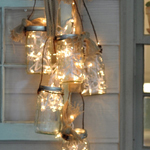 love your blog and what a cute decorating idea!!! .-= Amy Holly´s last blog ..Excitement =-. I love your gorgeous hurricanes now, what a wonderful idea. Please enter me in your giveaway. Hugs, Cindy S.
.-= Cindy S´s last blog ..Happy Birthday lil’ Sis =-. .-= susan´s last blog ..Metamophosis Monday…New Look for the Nook =-. It looks very elegant now. Great job! 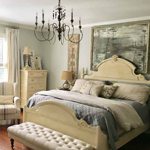 .-= black eyed susans kitchen´s last blog ..BIG FURNITURE…BIG RE-ARRANGEMENT…BIG PAYOFF =-. They do look icy and very original/unique! .-= nannykim´s last blog ..met monday-creating snowflakes =-. Wow, that lace made a wonderful effect. They do like icy and gorgeous. Very imaginative…and very beautiful. .-= Jenny´s last blog ..In Honor of Alice – A COZY GIVEAWAY =-. Love the lacy hurricanes. What a difference and NOT boring, that’s for sure. Have fun on your teal search! What a lovely idea. I never knew how they created this style. I was just looking at a glass jar in the shop last night and thinking how do they do this? So nice to meet you, what a great weekly event. .-= Karen´s last blog ..A One-of-a-kind Shadow Box =-. I love this idea!!! And I have a lot of the same hurricane vases left over from my wedding that are just sitting around. Now I know what I’m going to do with a few of them. .-= Kim´s last blog ..Mirror Makeover & my first chalkboard =-. .-= vicki´s last blog ..This and that…or getting ready for the holidays =-. Love your color combo, btw. .-= Keelie´s last blog ..A Year Ago Today… =-. These turned out great! I love them. 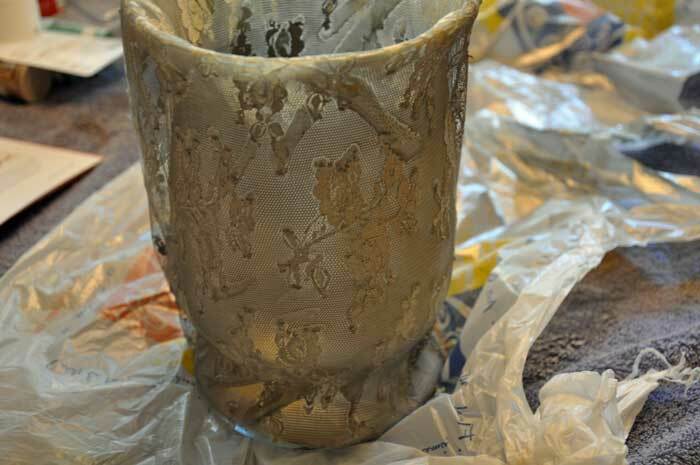 .-= Shannon @ Silver Trappings´s last blog ..Kids Christmas Craft – Clay Pot Snowman =-. This is great! Love ’em! it looks like the lace is still on. is it just the glitter? what happens if you leave the lace on?? Barbara Jean~The lace didn’t go on flush,it would look a little sloppy to leave it on. At least the way I did it!!! .-= Laterg8r´s last blog ..TWOC #8 – Wreath Party =-.